Mon (£50): 6479 – Mr D McClorey, Golf Road, Helmsdale. Tue (£60): 2245 – Lorraine Walker, Station Drive, Ardersier. Wed (£70): 1467 – Ashleigh Davison, Urray, Muir of Ord. Thu (£80): 5881 – Mr C McIldowie, Drumossie Avenue, Inverness. Fri (£100): 1971 – Teresa Johnson, Dunain Road, Inverness. 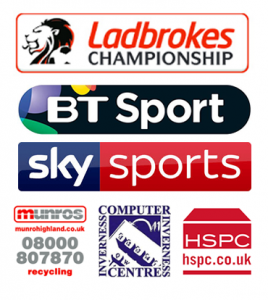 £500 WEEKLY WINNER: 2982 – Jill MacRae, Old Mill Lane, Inverness. Mon (£50): 5003 – Stewart Mitchell, Lundy Road, Inverlochy, Fort William. Tue (£60): 2801 – Mrs C A Clark, Moray Park Avenue, Inverness. Wed (£70): 1364 – Duncan Fraser, Millbank Park, Munlochy. Thu (£80): 1608 – Mrs E C Simpson, Sunnyside Avenue, Aberdeen. Fri (£100): 1947 – Mr S Hunter, Iona Road, Inverness. £500 WEEKLY WINNER: 1283 – Stephen Grant, Society Street, Nairn. Mon (£50): 1424 – Dr F Charters, Broadstone Park, Inverness. Tue (£60): 6235 – Noreen Patience, Killen, By Avoch. Wed (£70): 0669 – Mr J Tate, Killyliss Road, Dungannon, Northern Ireland. Thu (£80): 4567 – Gordon McConachie, The Haughs, Cromdale. Fri (£100): 1873 – Martin Ireland, Burnett Road, Inverness. £500 WEEKLY WINNER: 2315 – Mrs Susan Macleod, Oakdene Court, Inverness. Mon (£50); 5697 – David Gilchrist, Drumossie Avenue, Inverness. Tue (£60): 0062 – Mr J M Smith, Marine Park, North Kessock. Wed (£70): 1079 – William Cameron, Milton, Drumnadrochit. Thu (£80): 4560 – Mrs J MacGregor, Carse Road, Inverness. Fri (£100): 3027 – Hugh Drummond, Riverford Crescent, Conon Bridge. £500 WEEKLY WINNER: 1434 – G Penwright, Glengarry Road, Inverness.